It's no secret that my Nathan is fearless, enthusiastic, and slightly (like majorly) energetic! AND, it's no secret that he is pretty much a reincarnation of his dad in many ways (well, most ways minus the fact that Todd is the introvert and Nate is the extrovert of all extroverts). 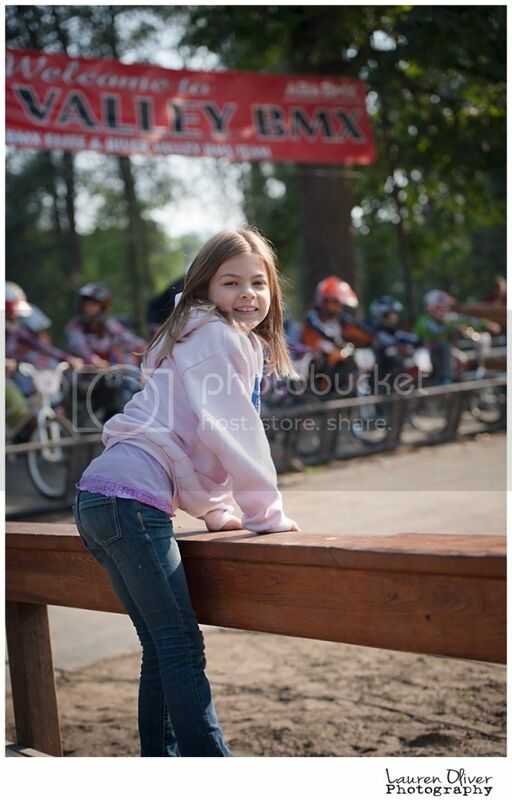 SO, after us ignoring his repeated requests to "race his bike", we decided to head out to the BMX track last weekend to "watch". 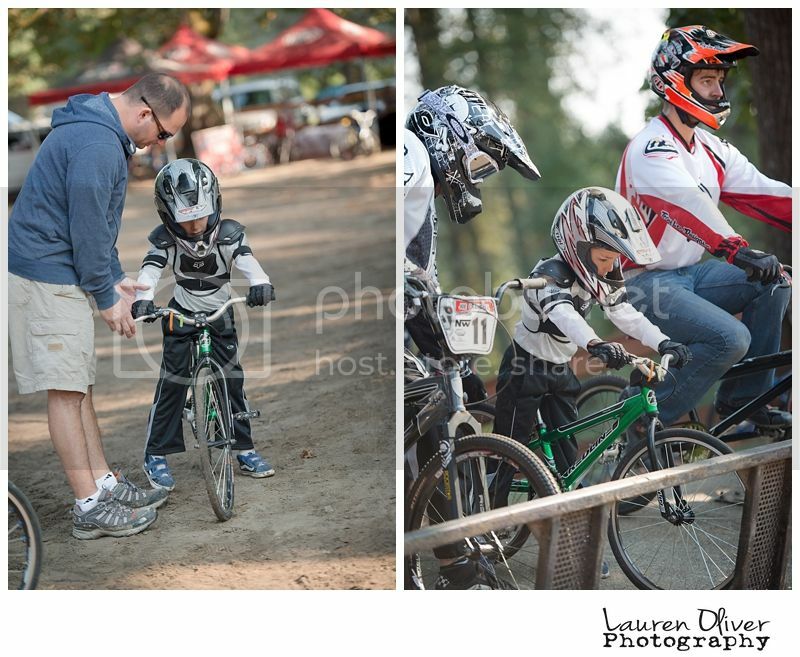 Well, long story short - he went, he saw, he borrowed gear, he raced, and he took first place in his group! WHAT?!?!?!!? Yes, he's crazy.....and he's 5......whoops - I mean 5 1/2 (please don't forget that "1/2"). I was not prepared last week (meaning I left the camera at home). So, this past weekend, I was sure to snap some shots! Nathan - you continue to bring adventure to our lives and I have a hunch you will succeed at whatever you choose and truly love! Your options are endless! Mama loves you (and also covers her eyes from time to time when I watch you). 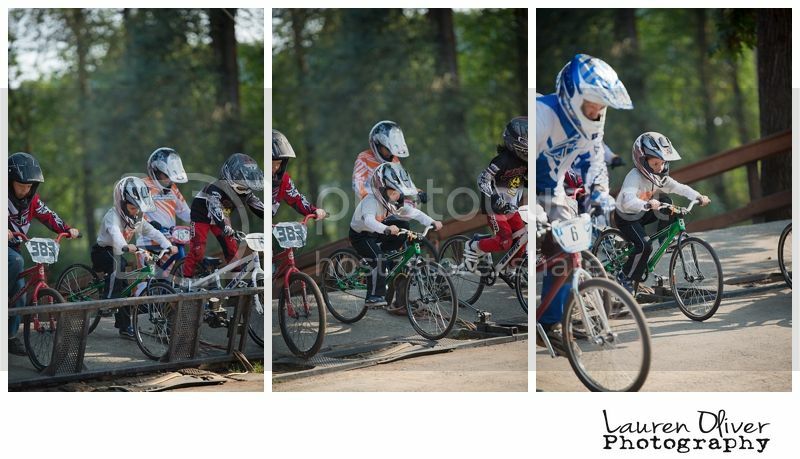 (who, by the way, has been reliving HIS own BMX days these past few weeks)! And this, is his biggest cheering section. She seems to love everything about the track, so far! Watching her brother, Doritos from the snack shack, the awesome music soundtrack! I have a feeling these two will always be each others' biggest fans! 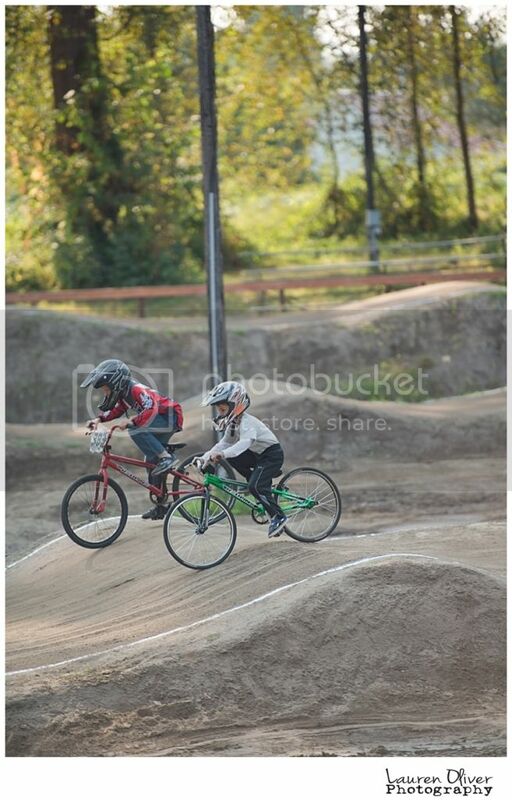 He's on a BMX track! I'm not surprised in the slightest! That is so cool! Way to go, Nate! !